How do I discover my biological parents? ArticlesHow do I discover my biological parents? When I was 17, I realized I was adopted. I was in the hospital with Mom and Dad, and the doctors asked for inherited diseases in the family because they could not find out what I was sick of. Then our people told me they adopted me. Now we're trying to figure out who my biological parents are. I realized that a new birth certificate was issued when adoption was adopted, stating the names of the adoptive parents as parents. Everything about the life of the child prior to adoption (data of origin) remains in the civic adoption case. So, in order to get information about my biological parents, I have to get access to the case, that is to reveal the secret of adoption. What does the law of the secret of adoption mean? 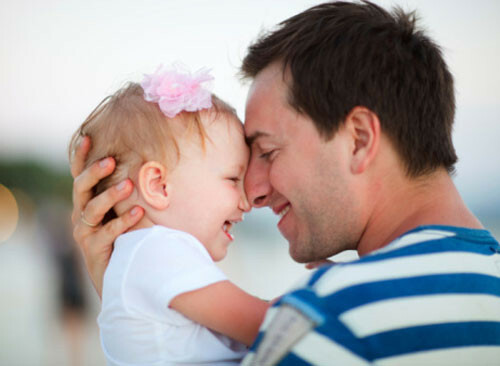 The law provides a high level of protection of the secret of adoption in order to preserve the established relationships: parent - child between the adopted and the adoptive parent (adoptive parents). Disclosing the secret of adoption with the intention of causing harmful consequences to the adopted, adoptive parents or their families is treated by the Criminal Code as a crime. Access to information about the origin of the adopted person can be provided by court procedure under a procedure explicitly regulated in the Family Code. What is the procedure to get to your roots? I will try to present the procedure on which I went, in the simplest possible way: who can initiate the procedure, on what grounds, which court is competent, is its decision subject to appeal, how the proceeding proceeds. Who can start the procedure? Disclosure of the secret of adoption can be asked for - adoptions, if I am 16 years, my adoptive parents may ask for it. The court to which I have to apply for the disclosure of the secret of adoption is the district court that has ruled the decision to allow my adoption. More about the adoption procedure I can read here. On what grounds can the secret of adoption be revealed to me ?! I can request access to information "when important circumstances require this." There is no legal definition of "important circumstances", which means that this is a matter of fact, and it is up to the court to judge whether, in the specific case, the circumstances that justify the disclosure of the secret are "important". It has been established in practice that there are "important circumstances" when the information is needed to clarify, maintain and improve the health status of the adopted person. For example, when there is suspicion of a disease that is inherited or descended to the adopted person, suffers from a disease that may be inherited, e.g. Multiple Sclerosis (Decision No. 76 of 20.07.2015 of the Burgas Court of Appeal No. 1979/1414 of the Regional Court of Burgas). That is, when it is necessary to trace the diseases in the genus and carry out genetic investigations in order to establish a hereditary burden. Often the choice of appropriate treatment (therapy) depends on the genes of the person. What do I need to know about the procedure itself? I have to provide evidence of the existence of "important circumstances" - such as, for example, research, epicrisis, other medical records. Prosecutor, who may be defined as a "living representative of the law", must be involved in proceedings. He puts forward a conclusion in which he can maintain that my application must be respected and he has "important reasons". He may want to reject my request. Accordingly, if the district court as a first instance allows me to provide me with information, the prosecutor may appeal the decision to the appellate court and request its annulment. Another important feature of the proceedings is that the court must search for my parents and listen to them for my opinion. Despite the efforts made, the court may not be able to find them for an opinion - they have changed their address, only one of them can be known, the parents have died and so on. It is important to know that this is not an obstacle to the proceedings and the court can make a decision without having heard them. Judicial practice in this type of case is varied. A major problem is the lack of criteria for identifying the presence of "important circumstances". Although in many cases it is all about the health of the adopted person or his descendant, the court assesses the extent to which these diseases are related to the biological origin of the person and has the power to reject the claim despite the poor health of the adopted (if it considers that the illness can not be hereditary). If the court accepts my request, it allows me to be provided with information on my biological origin by providing access and issuing copies of my admission to my adoption (the documents attached to the case). If the court rejects my request, I have the right to appeal against it. How do I discover my biological parents? How do I discover my biological parents?